Chiropractic is a science, philosophy and art all at the same time. We pride ourselves on giving specific, science-based chiropractic care by use of the National Upper Cervical Chiropractic Association (NUCCA) approach that helps your body maintain a balanced state. 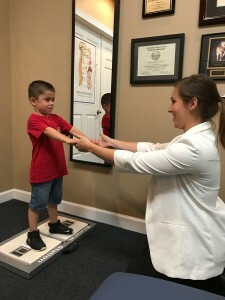 After seeing his own life change through NUCCA chiropractic, Dr. Brown knew he had to bring this highly effective healing care to our community. Once pressure is removed, the spine naturally comes into a balanced and unstressed position. This subtle, gentle correction ultimately restores optimal balance to the entire spine. NUCCA adjustments require no twisting, popping or cracking. It is a calculated, measurable, gently applied force that is entirely painless. Discover for yourself how our NUCCA chiropractic care can help you feel great. Get in touch with us today to schedule your NUCCA chiropractic appointment!